Craig Miller, Director of the R&H Concert Library, a division of The Rodgers & Hammerstein Organization, died on Monday, November 27, 2006. According to his sister Leslie Miller, the cause of death was heart disease. He was 41 years old. Craig Miller had been Director of the R&H Concert Library since 1999, where his responsibilities included all customer service and licensing activities for R&H's Concert Library customers, as well as acting as the Concert Librarian overseeing the R&H concert materials. 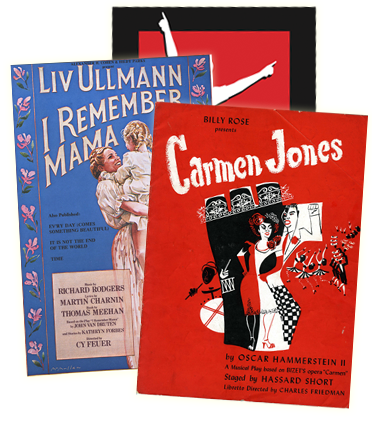 Prior to joining R&H, Mr. Miller had been with Baker's Plays, a theatrical licensing agency in Boston, Massachusetts. Born and raised in Quincy, Massachusetts, he studied acting at Emerson College, as well as at Hofstra University in Hempstead, New York. He was actively involved in community and regional theatres in the Boston area, including the Company Theatre of Norwell, Massachusetts. Among his favorite roles were the Cowardly Lion in THE WIZARD OF OZ and Count Orsini-Rosenberg in AMADEUS. In addition to being an actor/ singer, Craig was in the process of writing an original musical. Its title at the time of his death was FRIENDS AND FAMILY, but its original title resonates as a profound epitaph: YOU MUST REMEMBER ME. Craig is survived by his sister Leslie, of Brooklyn, N.Y., and his parents, John and Audray Miller, of Quincy, Mass. His family has said that donations in his name to the American Heart Association would be appreciated. ""We will miss Craig tremendously,"" says R&H President Ted Chapin. ""He was as loved by all of us here as he was by those who worked with him in the concert world. His passion for what we represent, along with the twinkle in his eye and his sly sense of humor, made him a valued member of our team. We send our condolences to his sister Leslie, and to his parents.""